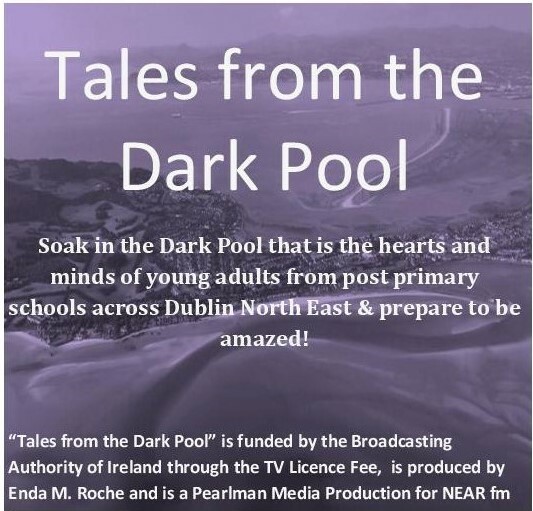 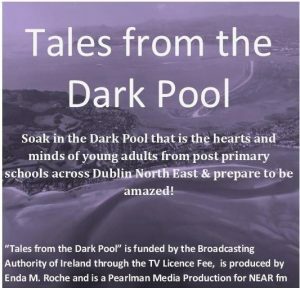 Programme 4 in Tales of the Dark Pool is presented by Catherine Grogan and Laurence Groark-Peate. 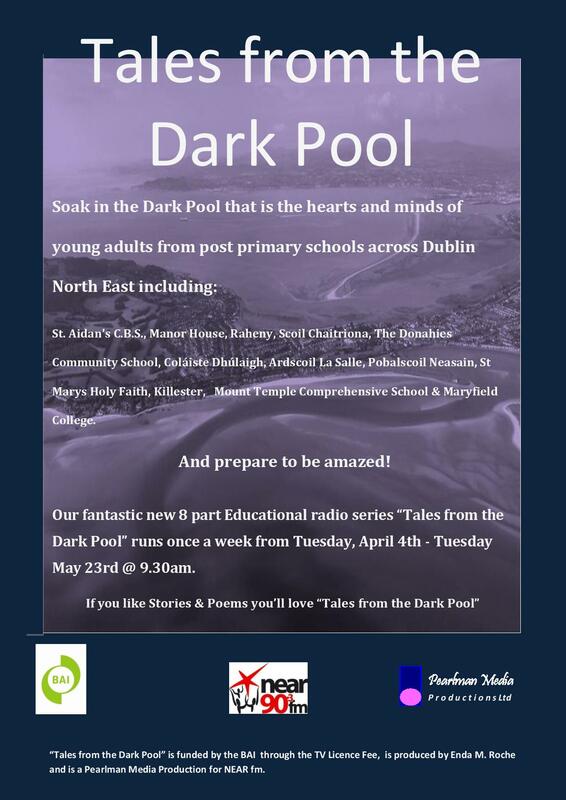 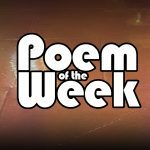 This week’s stories & poems come from Ardscoil La Salle, Maryfield College, St Marys Holy Faith, Killester, Mount Temple Comprehensive School, Manor House, Raheny, Pobalscoil Neasain, Scoil Chaitriona, St. Aidan’s C.B.S., Coláiste Dhúlaigh & Donahies Community School . 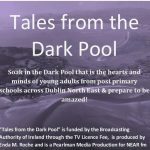 The Series is Produced by: Enda M Roche, Production Assistant: Ursula Hedderman, Studio Assistant: Colin Roche.